Chrome Vanadium alloy steel, one-piece construction, cold forged, durable under constant use. 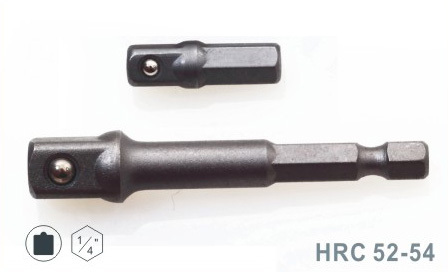 Universal, 1/4' hex shank fits all drills. Ideal complements for any electric drill or power screwdriver. Available in sanded finish, black oxide finish, zinc plated finish.